A Day in the Life...: Who, oh Who could this be??? Who, oh Who could this be??? 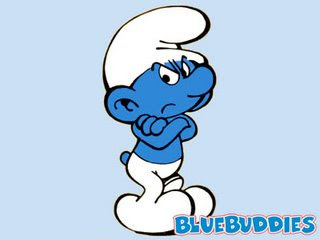 well I know it's Grumpy Smurf... but I'm assuming you're thinking he's someoen you know?